In terms of sheer scope, few enterprises are as exhaustive (or exhausting, for that matter) as moving. From the basic tasks of packing and transporting your belongings to more technical aspects like hiring a moving company and getting insurance, there are a lot of bases to cover. To “unpack” some of the complexities involved, we’ve curated the following collection of information, including key terms, helpful tips and answers to frequently asked questions. Bill of lading: The standard form used by the United States shipping industry to acknowledge that a carrier has received a shipment. The bill supplies a list of goods included in the shipment and specifies the terms of the shipping agreement, which include the transporting vehicle and the shipment’s final destination. It also represents a legal document that’s vital to the pursuit of loss or damage claims from a moving company. Binding estimate (aka not-to-exceed estimate): The cost of service given in advance of the move. This estimate is only valid for the specified time. If you add services, there will be an additional charge. Bulky items: Items that have a low weight compared to their size, such as a camper or golf cart. These items cost extra to move. Carrier: The mover that will be transporting your household items. 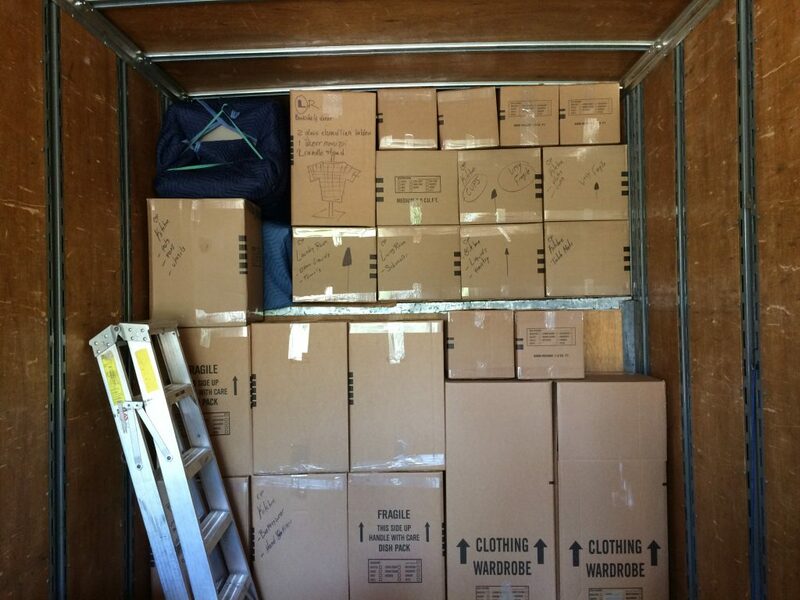 Gross weight: The weight of the moving truck after your household goods have been loaded. High-value article: Any item being moved that is valued at more than $100 per pound. 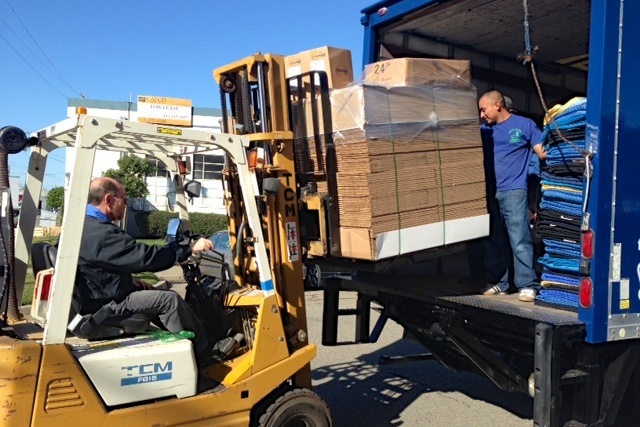 Valuation: How much your shipment is worth. This is an important figure because it will help determine what restitution is paid if there’s any damage or loss of items during the move. Find the right mover. Do your research and find a dependable company that gives honest pricing. To compare apples to apples, it’s always best to get estimates from three different moving companies before choosing one. Get a jump on packing. Packing inevitably takes longer than expected, so get started early to avoid a last-minute rush. Also, pack smart: Label all boxes, avoid overfilling large boxes with heavy items and don’t waste time boxing up items that can be transported as is, such as clothes on hangers or in dresser drawers. Avoid a parking fiasco. If parking is likely to be an issue, try to reserve nearby parking spaces for the move. In some cases, permits may be required by the city, so it’s a good idea to call and inquire. Also, if you’re moving in or out of a high-rise apartment, try to reserve an elevator for moving day, as having sole access will allow your movers to work more efficiently. Wrap up loose ends. Besides dealing with the physical move, it’s important to address ancillary details like submitting a “Change of Address” form to the post office and setting up service with your utility company and Internet/phone/cable provider. Address safety and security. Prior to moving into your new residence, consider changing the locks to ensure no former tenants or owners have access. You should also make sure critical safety features like smoke alarms, carbon monoxide detectors, and fire extinguishers are present and functional. When it comes to insuring your items against loss or damage, make sure you understand the difference between valuation protection and insurance. Photo: Pedro’s Moving Services, Inc.
Q: When is the best time of year to move? A: Most movers would tell you to avoid moving during high-demand times such as summer, the holidays or the end of the month. However, the choice is really up to you and what works best for your schedule and circumstances. Q: Should I get an in-person estimate from a moving company? A: Most movers can give you an approximate cost by knowing the size of your house. However, to get a truly accurate estimate, the moving company will need to survey your household items that need to be moved. Keep in mind that these estimates are only estimates—there may be additional charges for distance and weight of shipment. Q: Are valuation protection and insurance the same thing? A: No. Valuation protection is the amount of money a moving company is willing to pay for lost or damaged items. Moving companies are legally required to provide valuation coverage for all their shipments, but the legal minimum is only $0.60 of coverage per pound of shipment, which means a 20-pound television would carry a valuation reimbursement of $12. Homeowners can opt to purchase higher valuation coverage plans, but these tend to be significantly more expensive, which is why many choose the alternative of purchasing insurance. Moving insurance is typically procured through a third party. In the event of loss or damage, the insurance company pays the amount that isn’t covered by the deductible. However, unlike valuation, which protects lost or damaged items regardless of the circumstances, in order to be covered by insurance, any loss or damage must fall under one of the specified causes listed on the policy. That’s why it’s important to know the exact terms of a moving insurance policy before signing it. Q: What if items are damaged by the moving company in transit or during packing or unpacking? Q: Why should I choose a Diamond Certified moving company? A: Diamond Certified helps you choose a moving company with confidence by offering a list of top rated, local companies that have passed the country’s most in-depth rating process. Only moving companies rated Highest in Quality and Helpful Expertise earn the prestigious Diamond Certified award. American Ratings Corporation also monitors every Diamond Certified company with ongoing research and ratings. Plus, your purchase is backed by the Diamond Certified Performance Guarantee. Overall, you’ll feel confident choosing a Diamond Certified moving company.